Bike-friendliness: Not so much. No bike racks on sidewalk or in parking lot. 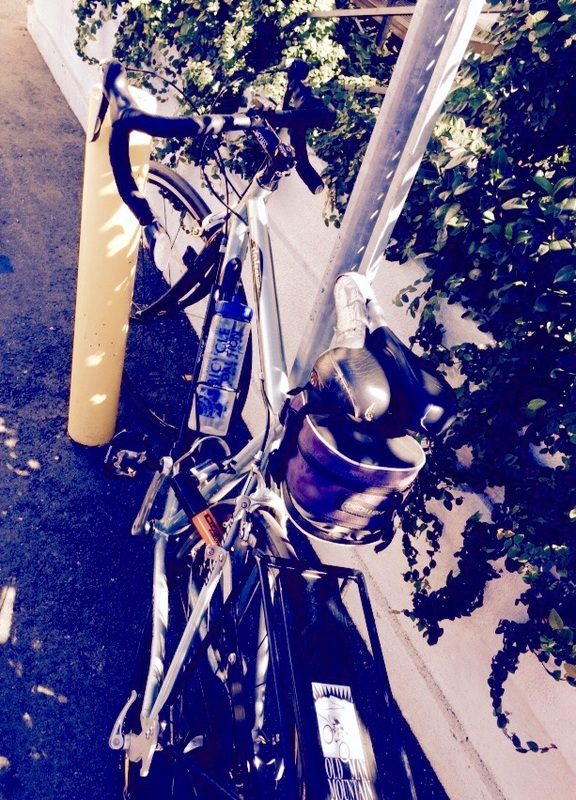 There was one awkwardly placed parking signpost, to which I was able to lock my bike. 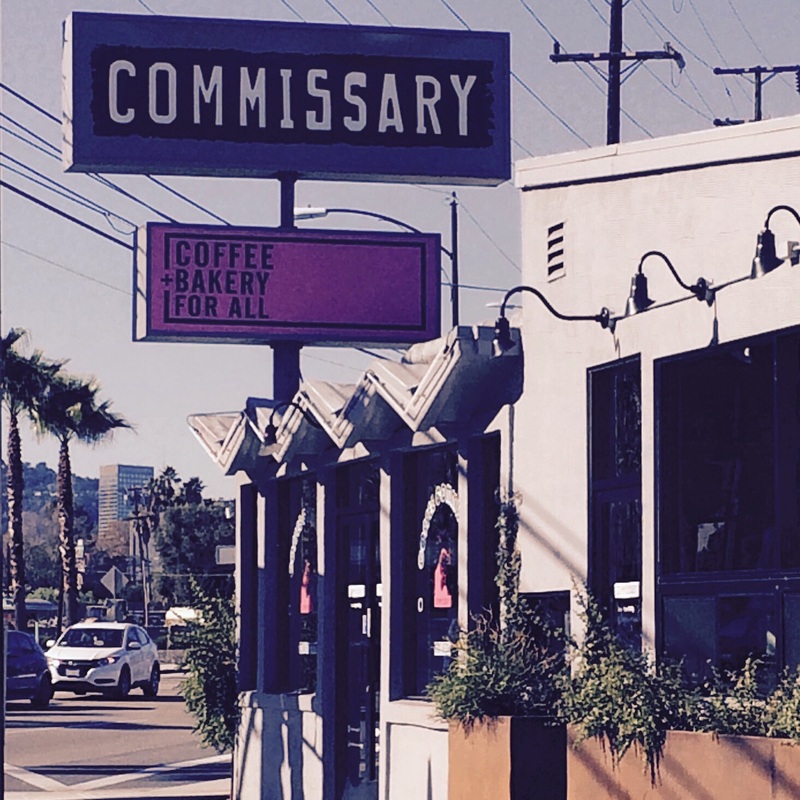 I was curious to try Coffee Commissary, and its location in Burbank had the appeal of taking me into a different part of the L.A. area. Its proximity to Griffith Park made it tempting to simply do one of my routine Sunday morning rides up to Griffith Observatory (an excellent hill climb for keeping one’s ticker in shape with bonus views of the city), and then just head over to Burbank afterward. But a big part of what drew me to coffeeneuring was exploring new places, and feeling a touch of adventure, so I couldn’t go with that plan. Besides, I felt a craving for a little more distance for this weekend’s ride. I’d had to put in a lot of extra hours at work this week, and I needed a substantial ride to work off all that stress. I consulted my handy guidebook, Cycling Los Angeles, which has 85 bike rides throughout the L.A. area. 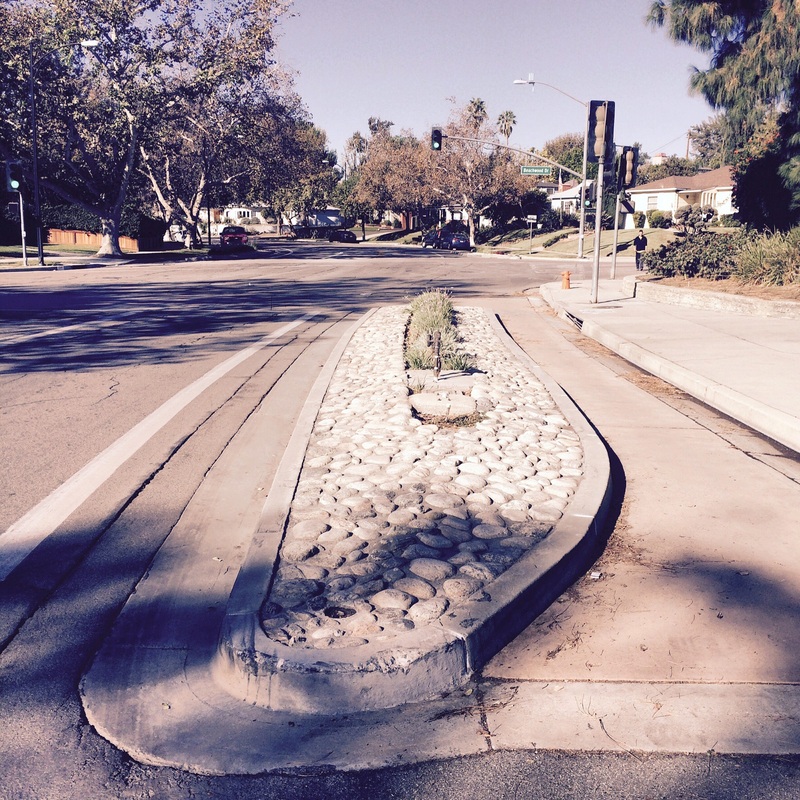 Wouldn’t you know it, Ride #36 is the “Burbank Bikeway”. 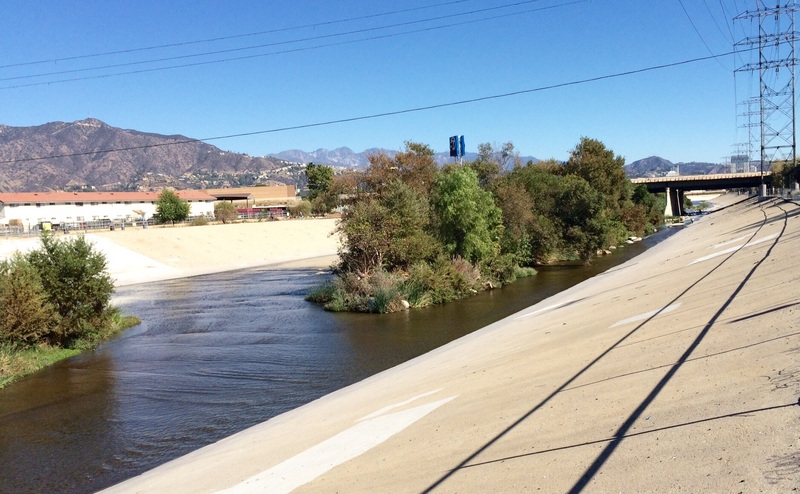 The suggested route is a 14.8 mile loop that tours the periphery of Burbank, mostly on bike-friendly streets that go past parks and, most appealing to me, along the foothills below the Verdugo Mountains. 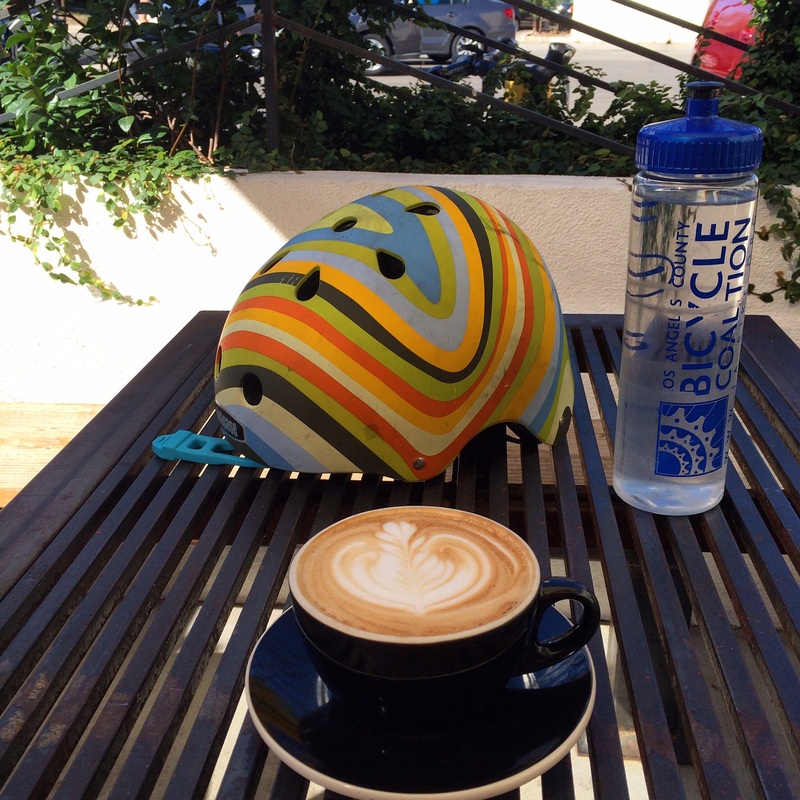 Now I had my substance, and a convincing reason to bike to a Burbank coffee shop. To turn it into a complete trip, I tried to work out a blend of Google Maps’ directions for getting from my house to Coffee Commissary, which is near the southern edge of the Burbank loop, combined with the route map from my book. Unfortunately, the book does not provide a convenient cue sheet, so I made a photocopy of the route map, and had to stop frequently to figure out where my next turn should be. It more or less worked, but I did not quite follow the book’s route the whole way. It was just too hard to keep going back to the map, as I could only read it if I stopped and pulled it off my handlebars to really study it. 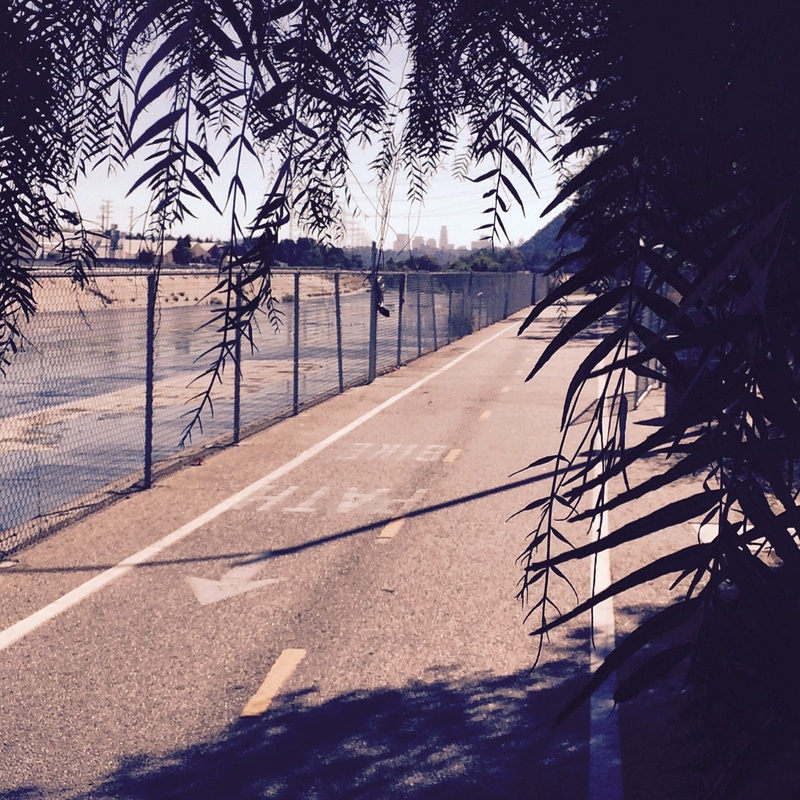 First, I had to get onto the LA River Bike Path. It was rather disconcerting to find the gate closed and taped off when I got to the entrance. There were no signs explaining what was going on, so instead of entering at the gate and using this cool bike bridge to cross the many lanes of insane car traffic, I waited at a light to cross the street at the surface, and found an entrance to the bike path that was easy to use, despite being sort of taped off as well. Turned out there was a half marathon in progress on the bike path. 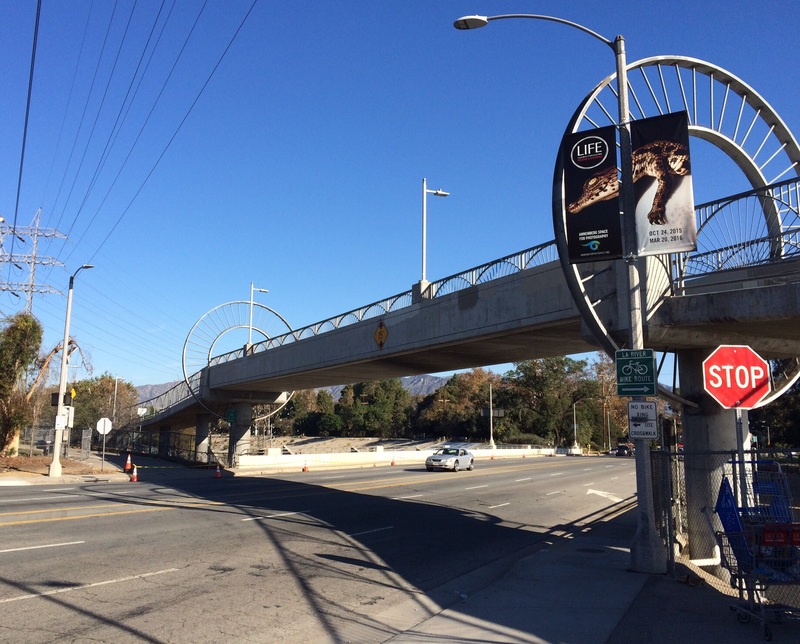 I only had to proceed with caution, dodging a few runners who were not looking at the path in front of them, and before I knew it, I was already turning onto Riverside Drive, entering Burbank. Riverside Drive has a nice bike lane, and is well-designed for sharing the road, not just between cars and bikes, but also with horses. 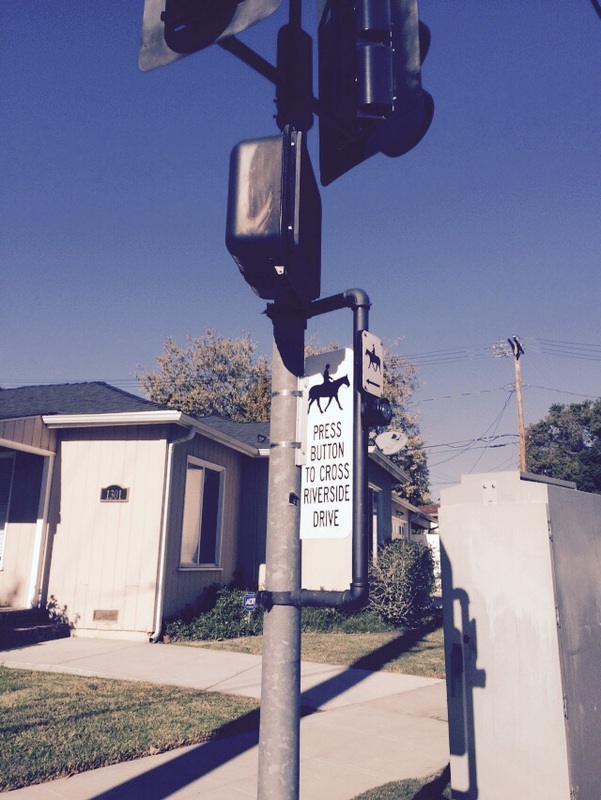 They even have special buttons at horserider height to activate a crossing light. 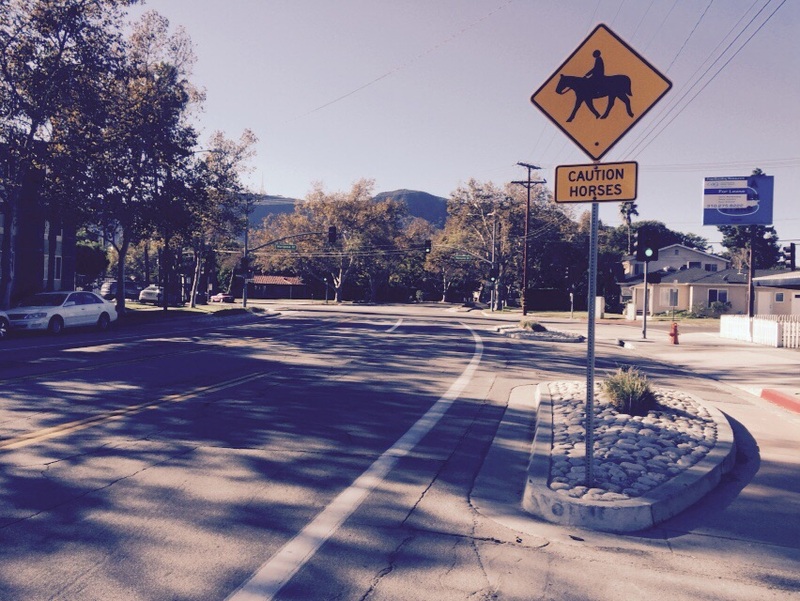 As you approach each intersection, the bike lane splits at a median, with a separated horse lane to the right. I turned off Riverside, and rode past some studios. 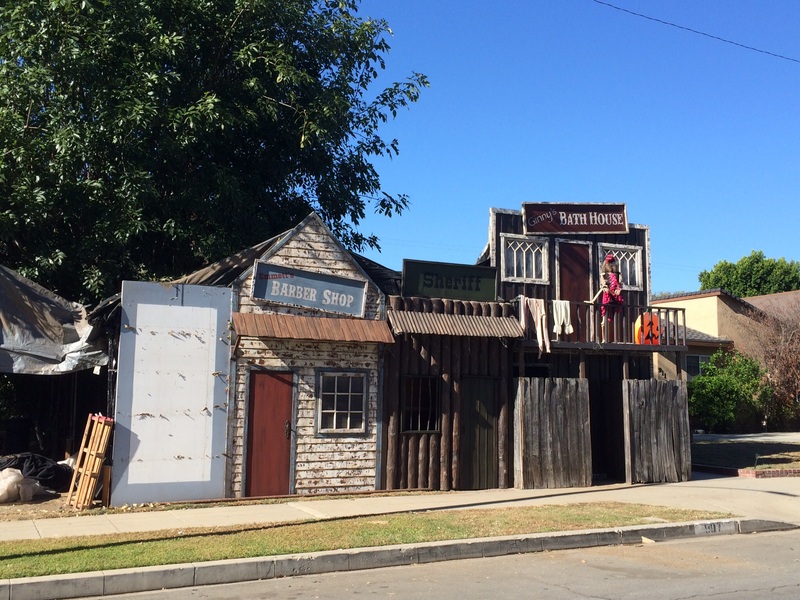 Lots of TV shows are made in Burbank. It appeared to be a fenced-off empty lot that someone had made a little more interesting. Many who live in this area work in the entertainment industry, so perhaps this is how these creative types deal with properties that would otherwise be just an eyesore. 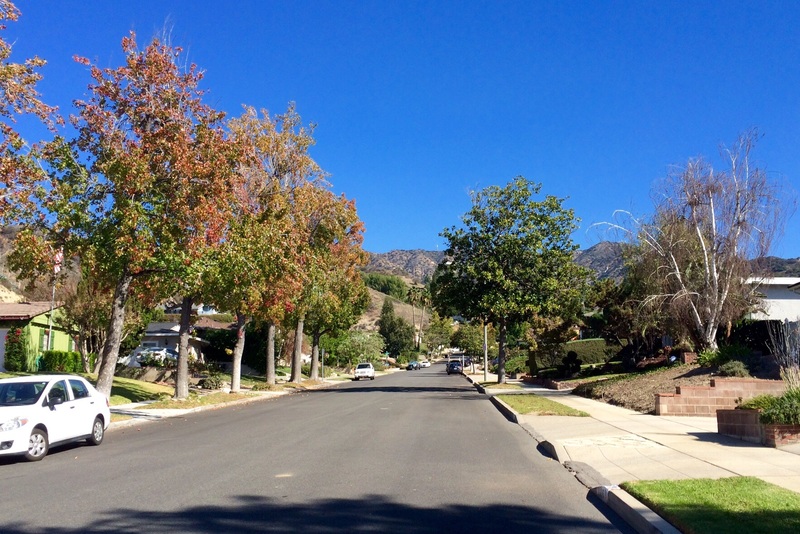 I love rolling hills on a bike ride, and I was pleased that my route took me into and along the foothills of the Verdugo Mountains. There were bike-friendly roads throughout this part of the ride. Then I rode back toward downtown Burbank, at which point I switched to using Google maps to guide me to Coffee Commissary. That got odd when the Google kept telling me to turn left off of Front Street in an area that had absolutely no cross streets. 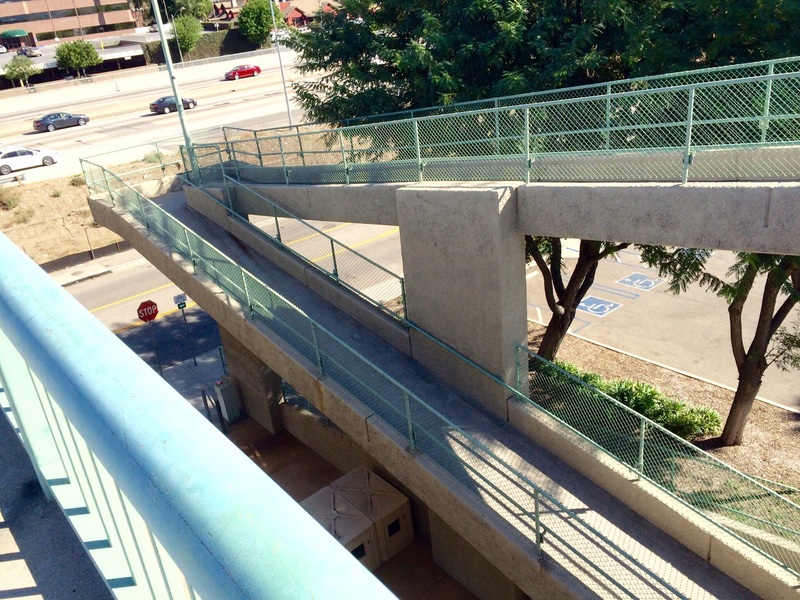 Finally, I realized that the Google wanted me to go up this crazy ramp to a bridge overhead. 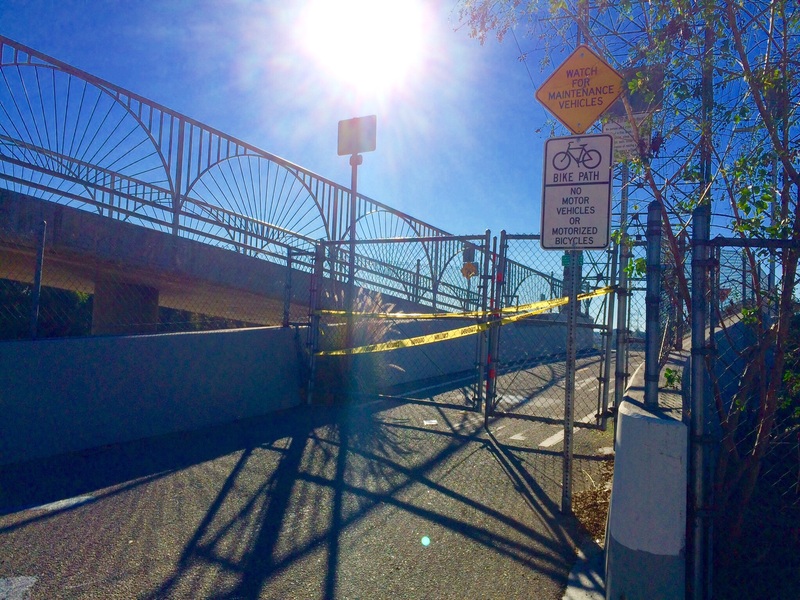 It was a little dicey when I got to the top, as I had to ride the sidewalk, which at the base of the bridge, fed me straight into oncoming motor traffic. 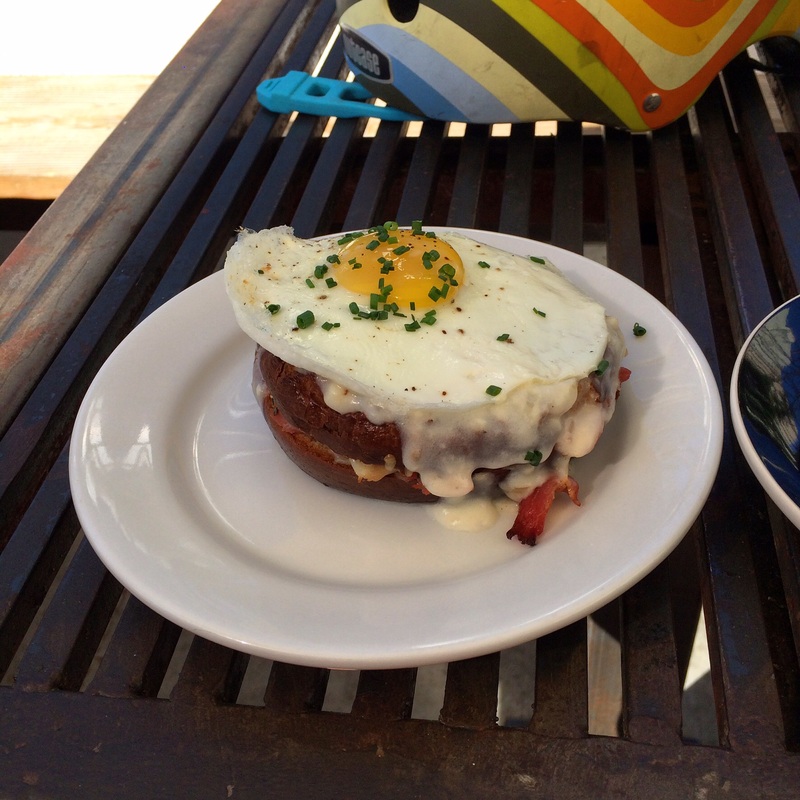 I turned off that scary-busy street at my first opportunity, and within a few blocks, I’d made it to Coffee Commissary, where I enjoyed my vanilla latte and lunched on the best Croque Madame of my life. 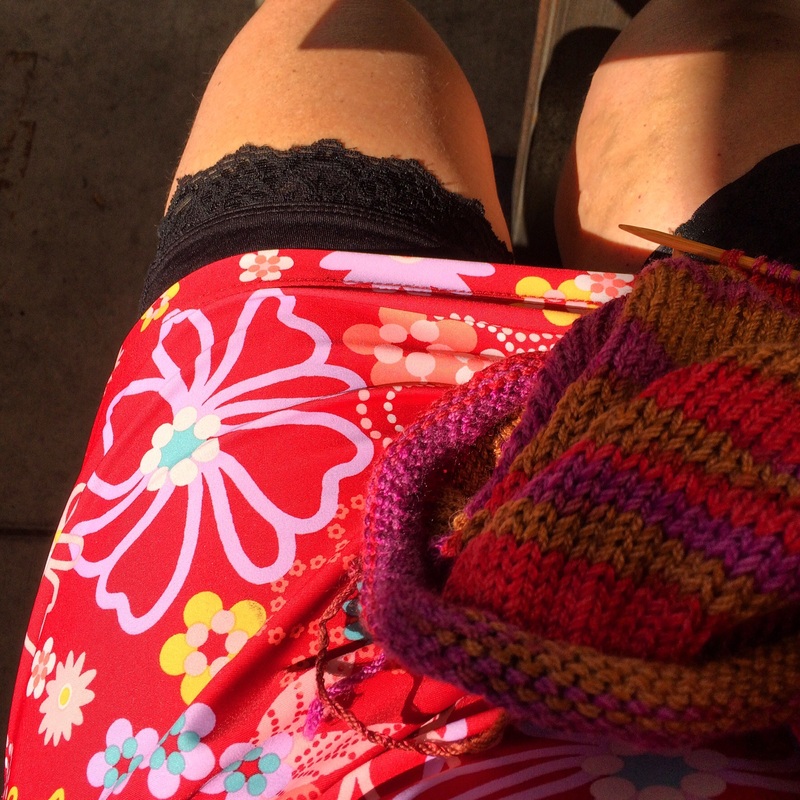 I took my time, filled my water bottle and hydrated while knitting on the lovely back patio. The patio space is attractive and allowed me to keep a close eye on my bike, which was squeezed into position between a bollard and a parking sign, the latter being the only structure I could find to which I could lock my bike. After a delightful repast, I made my way back to Riverside Drive, and enjoyed seeing a side of Griffith Park I never see from the L.A. side. But that doesn’t mean we don’t get any wild life. 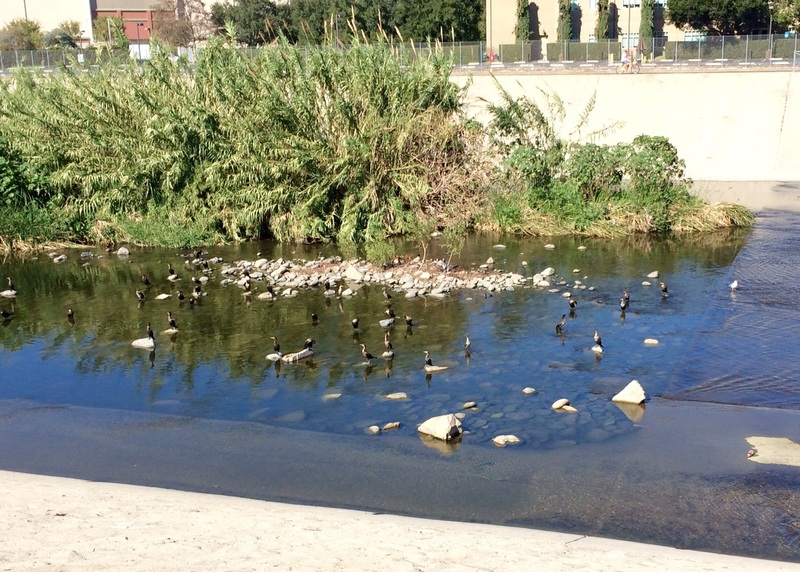 These ducks seemed to be having a good time. The downtown skyline was visible in the distance as I rode south. My entire journey was five hours. 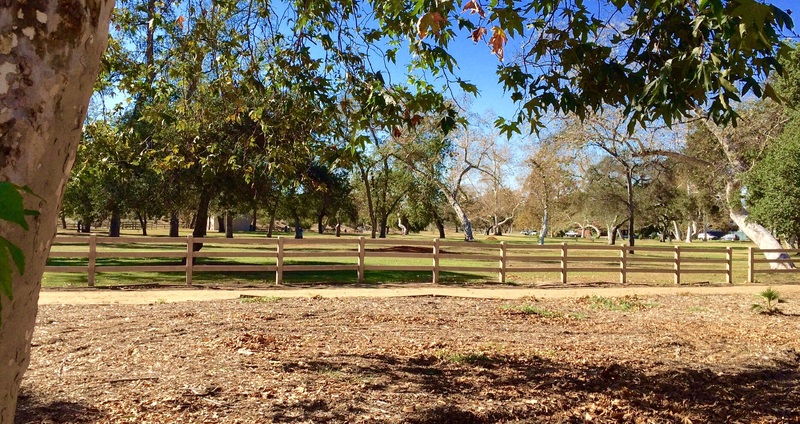 The San Fernando Valley doesn’t usually interest me much, but to explore it by bike was fun. It made for a most satisfying ride!